Hey! Jesus Is a Light Bulb! 1991. Pen & ink. 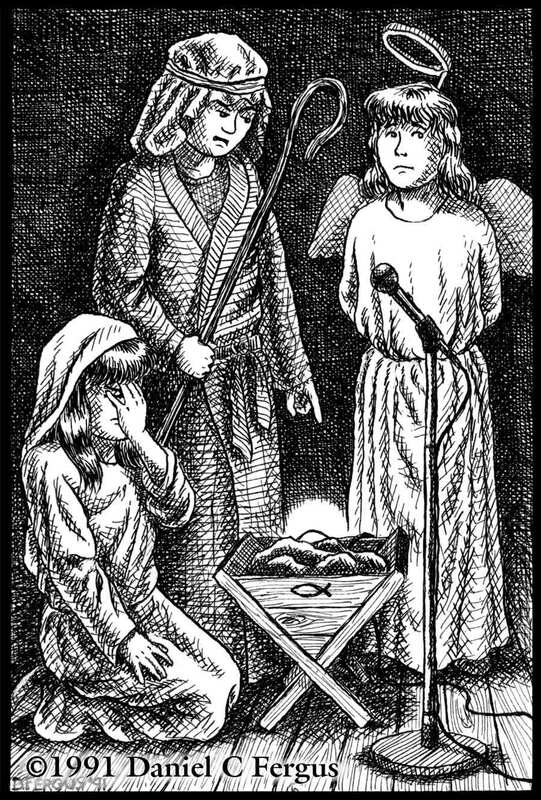 4.75" x 7"
Having established a style and tone with the art for my previous year’s Christmas card Ho, Ho, Uh Oh, I set about making the follow-up in 1991. Once again I sought to use a children’s book style and irreverent humor. I don’t recall how I came up with the concept for this one, it just sort of hit me. Notice the bathrobe costume that the shepherd is wearing: a Christmas pageant staple.